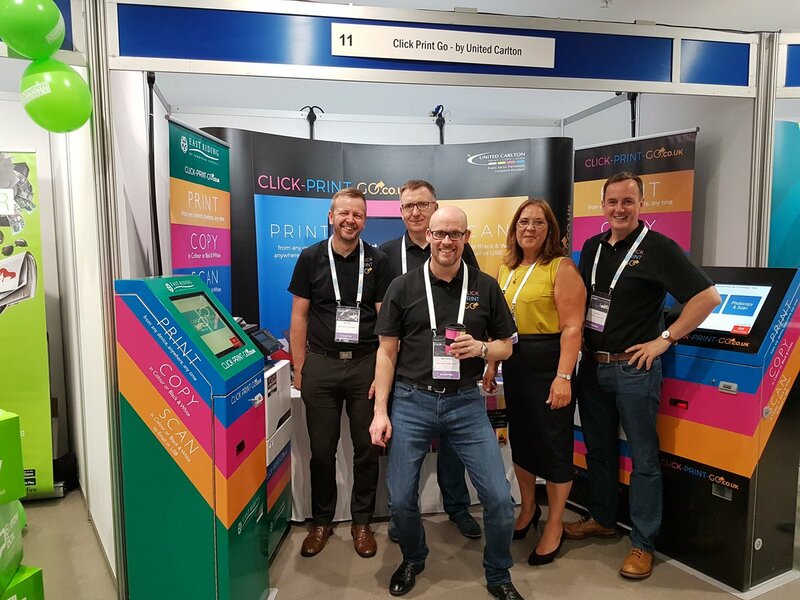 This year, SurfBox were on site at the Chartered Institute of Library and Information Professionals (CILIP) annual conference, which took place on the 5th and 6th of July in Manchester, to help our friends at United Carlton in demoing and exhibiting their Click Print Go solution. Click Print Go is a fully automated self-service solution that allows users to effectively print, scan and photocopy from specially placed kiosks in a number of locations across the UK such as public libraries, internet cafés and shopping centres. The CILIP is the leading professional body for librarians, information specialists and knowledge managers across the UK and worldwide, and works from England, Scotland, Wales and Northern Ireland. Other such companies in attendance of the exhibition included SAGE, ProQuest and Oxford University Press. CILIP was established in 2002 and aims to promote education and knowledge through the establishment of libraries and other such information services, while facilitating the advancement of information science.